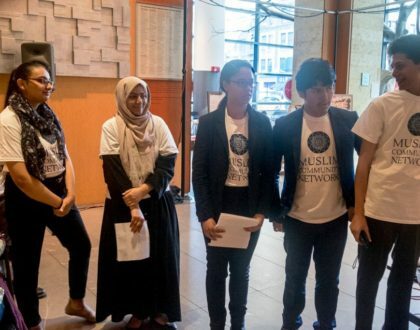 The Muslim Consultative Network and the Arab American Association of New York were recently awarded a grant from The Center for Artistic Activism to bring together members of the Muslim Community of New York working to end the NYPD’s surveillance of American Muslims. For three days, members of the Muslim American Civil Liberties Coalition, the Islamic Leadership Council of New York and various other Muslim civil society organizations came together to study past civil rights movements use of culture in their campaigns, and brainstorm ways in which to make their work more effective through the use of creativity and popular culture while attending the School for Creative Activism. 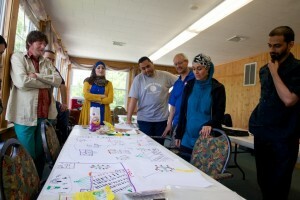 Organizers who participated in the retreat commented that, despite working together for years, they had never spent as much consecutive time with one another. 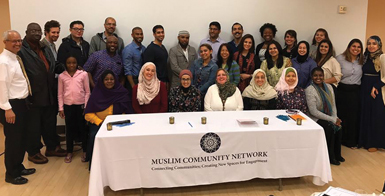 “In terms of the length of time, depth of learning and ideas generated, this retreat is unprecedented for the Muslim community, “ revealed one activist. The retreat did not just provide the opportunity to coordinate ideas on your everyday activism, but to identify popular cultural references shared by all New Yorkers, which can be used to build support for the movement to reform the NYPD. 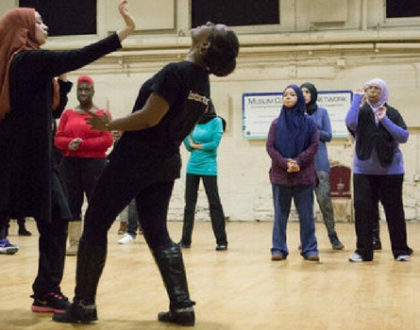 The School for Creative Activism built a foundation of shared experience and understanding between Muslim community leaders on their response and role in addressing NYPD spying. 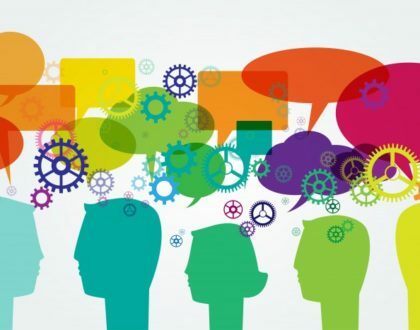 We return with a new ideas and understanding of how to strengthen our efforts, and invite you to join us by attending our first planning session on June 21st, 2013 at 7pm at offices of Thoughtworks (99 Madison Avenue, 15th Floor, corner of 29th St.). To attend, please RSVP to rsvp@mcnny.org.